The former chief executive of the carmaker Volkswagen has been charged in Germany over the diesel emissions scandal. 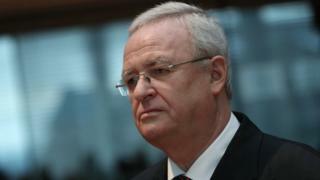 The public prosecutor in Braunschweig charged Martin Winterkorn, and four other managers, with fraud. Mr Winterkorn is already facing criminal charges in the US, but is unlikely to face trial there, as Germany does not extradite its citizens. He stepped down as VW’s boss in 2015.